Capturing design elements from retro decor but capitalizing on the contemporary elements of exposed wood legs and thin track arms, this two cushioned sofa will provide homeowners with an American made furniture collection that features design as well as comfort. While an Onyx grey upholstery creates a handsome aura, a pillow style back provides casual comfort and reversible seat cushions prolong the fabric's life. 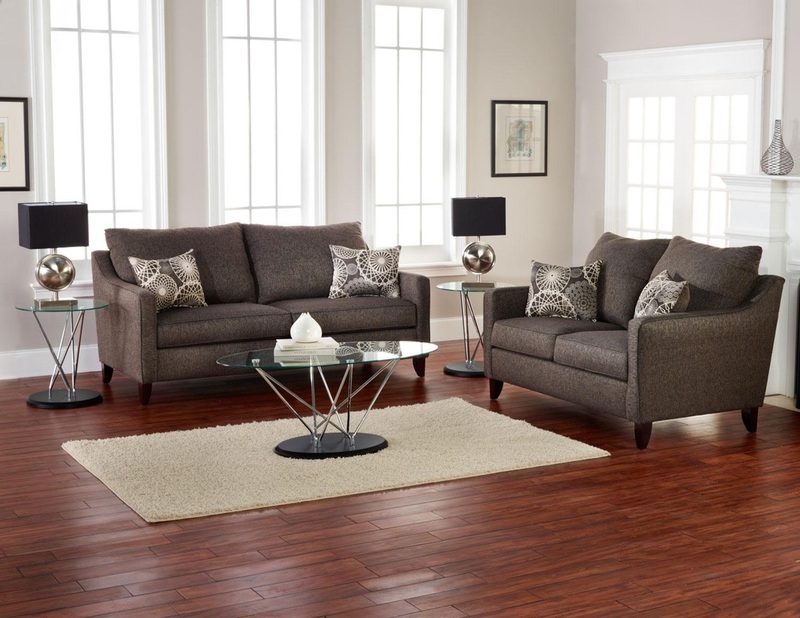 Made in America by a US manufacturer, this modern furniture item features a quality craftsmanship complete with welt cord trim for a fine tailored furniture accent.